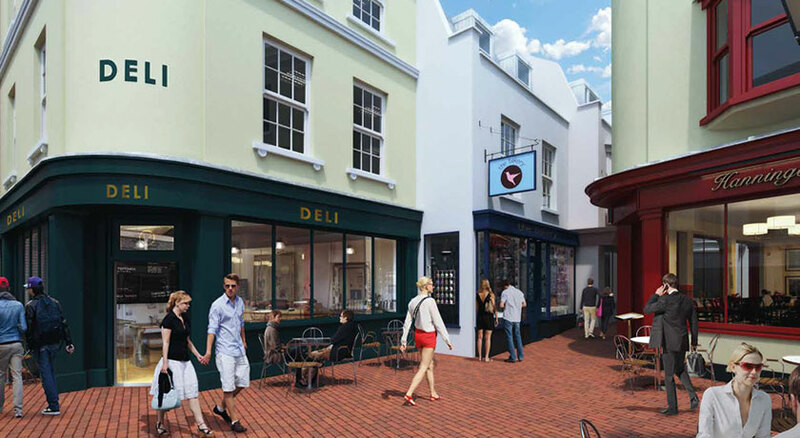 With in excess of 8 million visitors flocking to Brighton each year, The Lanes represent a major opportunity for retailers, restaurateurs and cafés. Centrally positioned, Hanningtons Estate is amongst a plethora of stylish and quirky brands. Visitors flock to these well-loved names and Hanningtons Estate sits within a stone’s throw of their doorsteps. There are more restaurants in Brighton & Hove than anywhere else in the country with a ratio of 1 restaurant for every 250 people. There is 1 drinking establishment for every 320 people and Brighton & Hove has over 1,400 licensed premises.